Two recent legal developments (one at the federal level and one at the state level) will inevitably reduce barriers to new licensing and transactions in the home care industry and, in particular, home health agencies (“HHAs”). The first is that, effective January 30, 2019, the Centers for Medicare & Medicaid Services (“CMS”) is no longer imposing moratoria on the enrollment of HHAs as Medicare providers. The second is that the New York Legislature passed a bill that, if enacted into law, will grant discretionary authority to the Commissioner of the New York State Department of Health (“Commissioner”) to consider new applications for licensed home care service agencies (“LHCSAs”), notwithstanding the current two-year moratorium in effect in New York. CMS has the authority to impose moratoria on new provider or supplier enrollment if it determines that there is a significant potential for fraud, waste, or abuse. In 2013, CMS enacted “temporary” moratoria preventing new HHA Medicare enrollment and certification in certain locations across the country. CMS justified the HHA moratoria to combat, among other things, providers avoiding obligations and debt incurred to the Medicare program by shutting down operations and reenrolling through another vehicle or under a new business identity. Over time, CMS expanded the geographic scope of the moratoria to ultimately encompass all of Florida, Illinois, Michigan, and Texas, and the moratoria continuously was extended until its expiration on January 30, 2019. As a result of the expiration of these moratoria, new HHAs in Florida, Illinois, Michigan, and Texas will be able to apply for enrollment as participating providers in the Medicare and Medicaid programs, and existing HHAs can expand their geographic footprint through the addition of branch locations (discussed below). Through feedback sought by the National Association for Home Care & Hospice, CMS explained that the moratoria were intended to be a temporary tool and that additional and new safeguards that have been implemented since the moratoria were initially imposed will continue the work to protect Medicare resources from fraud, waste, and abuse. This feedback suggests that CMS has no immediate plans to reinstate any moratorium. Nevertheless, CMS could reinstate a moratorium at any time if the agency determines that there is a need. Therefore, providers that want to expand their HHA footprint in Florida, Illinois, Michigan, and Texas would be wise to move quickly to submit their enrollment applications to their Medicare Administrative Contractor. It should be noted that the Medicare enrollment process for HHAs is more involved than some other provider types because CMS has imposed special enrollment requirements on HHAs, such as capitalization requirements. Accordingly, the time it takes to process and approve an initial HHA application can be lengthy. Existing providers may instead want to add branch locations to the existing enrollment. A branch is a location that services patients in the same geographic area served by the parent, and a branch must meet certain proximity and integration requirements in order to demonstrate that it shares administration with the parent on a daily basis. Branches do not need to enroll separately, thus allowing CMS to process and approve the branch-addition application faster than an initial enrollment application. The question of whether a particular location qualifies as a branch requires careful consideration. Providers must also consider whether it is best from an operational and billing standpoint for locations to bill separately or together with the parent HHA. Importantly for both enrollment options, prior to initiating Medicare enrollment, the provider must have a valid lease for the location in place and ensure that the HHA has an active state license to operate. It is unusual that CMS did not publish a formal notice in the Federal Register announcing the expiration of the HHA moratoria given that, pursuant to 42 C.F.R. § 424.570(d), CMS is supposed to publish a document in the Federal Register when it lifts a moratorium. Rather, CMS published a very short statement on its website indicating only that “there are no active Medicare Provider Enrollment Moratoria in any State or U.S. territories.” The website announcement is also a departure from prior practice, as CMS published each of its moratoria extensions in the Federal Register. The lack of formal publication lifting the moratoria leaves the HHA industry with uncertainty regarding the permanence of this announcement and whether CMS is likely to take additional action to initiate the moratoria again at any time. 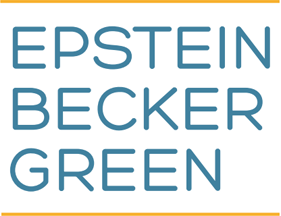 Epstein Becker Green’s HHA team is on standby to provide “rapid response” assistance with regulatory strategy, lease negotiation, and the production of all the necessary elements of a viable enrollment application. Is New York “Easing” the Moratorium on New LHCSAs? On February 5, 2019, the New York State Assembly passed a bill sponsored by Assemblyman Richard N. Gottfried, which, if enacted, would add an additional exception to a two-year moratorium currently in effect on the establishment of new LHCSAs and the transfer of ownership of existing LHCSAs, subject to several limited exceptions. The New York State Senate is currently considering an identical bill, which if passed by the Senate, will be presented to Governor Andrew Cuomo for enactment. The Senate bill was approved by the Senate’s Health Committee on February 11, 2019. The proposed legislative amendment would provide the Commissioner with greater flexibility in considering LHCSA licensure applications that do not squarely fit within one of the above three exceptions. The proposed legislative amendment would permit the Commissioner to consider licensure applications that, in the Commissioner’s discretion, are consistent with goals for consolidation in the New York LHCSA industry and improving care delivery. The proposed amendment is intended to address concerns of industry stakeholders, particularly those who have had negotiations and transactions involving LHCSAs stalled as a result of a strict interpretation of the two-year moratorium. If the proposed amendment is enacted into law, we can expect guidance from the New York State Department of Health to follow as to how it will exercise such discretionary authority.